Soft Cover, 192 pages, 6 x 9. Gaining more control of quality and taste is the aim of every homebrewer. 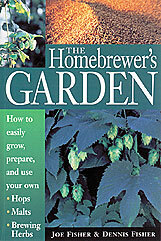 By growing your own hops, herbs, and malt grains, you can improve your brew and add a fascinating new dimension to your hobby.